This Wikipedia gives a synopsis of the origin and progeny of the goddess Night (Nyx) in Greek mythology. I’m only pasting it here because it gives a list of cool Greek words to know. Like night/νυξ. In Hesiod‘s Theogony, Nyx [Νυξ] is born of Chaos [χαος]; her offspring are many, and telling. With Erebus [Ερεβος] the deity of shadow and darkness, Nyx gives birth to Aether [αιθηρ] (atmosphere) and Hemera (day) [ημερα]. Later, on her own, Nyx gives birth to Momus [μωμος] (blame), Moros [μορος] (doom), Thanatos [θανατος] (death), Hypnos [υπνος] (sleep), Charon (the ferryman of Hades), the Oneiroi [ονειροι] (dreams), the Hesperides, the Keres [κηρες, κηρ] and Moirae (Fates), Nemesis [νεμεσις] (retribution), Apate [απατη] (deception), Philotes [φιλοτης] (friendship), Geras [γηρας] (age), and Eris [ερις] (strife). I linked to Ogdoad in Wikipedia because that word seems to have roots in Egyptian mythology, and Valentinus is supposed to have been educated in Egypt. Also, “Deep Silent Complete” (close enough to Βυθος, Σιγη, Πληρωμα) is one of my favorite Nightwish songs (even though it reminds me a bit of my ex-fiancee). This song is also about another personified god in Ancient Greek myth, “Ocean” (Οκεανος). 5 For to us a child is born, to us a son is given, and the government will be on his shoulders. And he will be called Wonderful Counsellor, Mighty God, Everlasting Father, Prince of Peace. 6 Of the increase of his government and peace there will be no end. He will reign on David's throne and over his kingdom, establishing and upholding it with justice and righteousness from that time on and for ever. The zeal of YHWH almighty will accomplish this. The phrase “ElGibor” should be rendered as “God is Mighty,” not “Mighty God.” It's a theophoric name, that's all. The name Elijah is composed of Eli (God) and Jah, which is short for Jahovah. The name Gabriel (גַּבְרִיאֵל) is constructed of exactly the same words as El Gibor (אֵל גִּבּוֹר). But it does not mean that the angel Gabriel is YHWH. The name Danel (not Daniel, Ezekiel 14:14, דנאל) means Judement of God. The name Emmanuel which means God [is] with us does not mean that any person named Emmanuel is the conduit of YHWH – though the writer of Matthew does some mental gymnastics to make this apply to Jesus. The name Ahijah means Brother of YHWH. There's no one who thinks that YHWH has a literal brother. So all you have is a Jewish Messianic prophecy listing the various names and titles which will be conferred to Messiah if/when he comes. Why Is There So Much Negativity Associated With Religious Belief? A while back I made a post outlining some of the problems with religion. Religion seems to make people more close minded and intolerant, while the benefits of religion are really only the result of the social support networks they provide. Meaning that, if religion disappeared but their social support networks remained intact, we would get all of the benefits of religion with much less of its drawbacks. This means that the UU church – with its high number of unbelieving members – does the same amount of social good as any other church filled with believers. (5) feel ‘an urgency of striving for closure in judgment and decision-making’(decisiveness) (Webster & Kruglanski, 1994, p. 1050). One of the first indications that we’re on the right track is that Need for Closure is negatively associated with Need for Cognition. That is, people who are drawn towards active critical thought and problem solving are unlikely to like “set in stone” answers. They tend to dislike dogma and prefer to pursue evidence until and unless they reach a suitable conclusion. Second, people with high Need for Closure tend strongly to prefer any answer to no answer, so much so that there is a subconscious tendency to view someone who claims to have an answer more favorably from the start than someone who is undecided or open-minded. This tends to make them biased towards accepting claims from people with dogmatic opinions. Maybe that’s why some people can be part of dogmatic religions without scoring high on dogmatism scales. In other studies, it seems as though when you prime people to make them feel uncertain or out of control, they intensify their religious beliefs. This seems to be why certain people are drawn to the claims of the religious, no matter how ridiculous the belief actually is when looked at objectively. They are convinced by the mere act of conviction instead of the actual content. 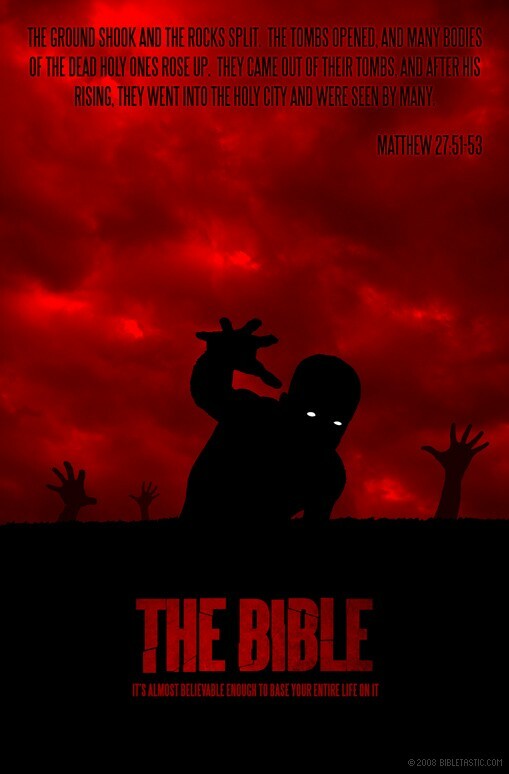 I am unaware of anyone who sat down and read, say, the New Testament like they read the morning newspaper and after reading the stories of reanimated bodies marching out of tombs and floating zombie apocalypses that the stories were true. No, it seems more likely that people have some sort of religious experience and then, without even reading their Bibles, conclude that the [general] story is true only because of their need for closure. Kind of like downloading iTunes and not even reading the Agreement, but scrolling down immediately to the bottom and clicking “I Agree” just so they can have some closure on their baffling experience. It seems to me that the Need for Closure has the most obvious link to dogmatism. So if this true – that the reason most people are religious is that they prefer the Need for Closure over the Need for Cognition – then what next? What would be a good way of establishing dialogue with these people? It seems as though the Need for Closure is the cause of a lot more problems than religion (namely politics). Comments Off on Why Is There So Much Negativity Associated With Religious Belief? So I just bought an iPhone on Friday and I've been playing around with apps. It seems there are a wealth of apps on the iPhone that help with studying languages. I've downloaded some to help with learning Koine Greek. One app I've downloaded is the “DailyWord” app that has a word of the day. Today's word is παλιν which means “again”. If παλιν sounds familar, it is – that is Sarah Palin's last name lol! You foolish Galatians! Who has tricked you? Before your very eyes Jesus Christ was portrayed as crucified. Here it is translated as “written”. So Paul must not mean “portrayed” in Galatians 3:1; that has connotations of being some sort of drawing or play or reenactment or something. “Portrayed” is pretty ambiguous. He must be talking about a previous letter that was written, or some sort of scriptures. Then they came to Jericho. As Jesus and his disciples, together with a large crowd, were leaving the city, a blind man, the Son of Timaeus [that is] Bartimaeus (ο υιος τιμαιου βαρτιμαιος), was sitting by the roadside begging. But the chief priests stirred up the crowd to have Pilate release Barabbas (βαραββαν) instead. I think it’s pretty obvious what’s going on here. Reading Mark from beginning to end, the reader is presented first with a guy who is the son of Timaeos, Bartimaeos. It can be inferred that “bar” means “son of”. Next, Jesus has a redundant prayer, where he says “Abba, father…”. This is a bit more of a stretch, but it seems as though Mark is going out of his way to mention that “Abba” means “father” since Jesus would presumably be praying originally in Aramaic. This pericope implies that Jesus is praying in Greek. The redundancy of Jesus’ prayer is removed in Matt’s and Luke’s rendition of this pericope. Following this, the astute reader will notice that we have encountered a character called “bar” (the son of) “abba” (father). I thought Jesus was the son of the father? Here we have some of the strongest irony in Mark. A character called son of the father who was a murderer and insurrectionist – who rightly deserves crucifixion – is released and the Jews hand Jesus (the real son of the father) over to be unjustly crucified. I included the Greek to show the grammatical forms that “Barabbas” takes. One is accusative (which means it ends in Nu [ν]) and one is nominative (ends in Sigma [ς]). This means that the “s” at the end of “Barabbas” the English translations I’ve read isn’t necessarly part of the name. So it should be “Barabba”. In some manuscripts of Matthew, Barabba’s first name is “Jesus”. So again we have a Jesus who is only son of the father in name unjustly released, and a Jesus who is the real son of the father unjustly crucified. On the flip side of things, a character named “Peter” (Πετρος) first appears in Mark’s gospel. In Greek, the word for stone or rock is πετρα, so that is what “Peter” is – a rock or stone. This is what the Aramaic name Cephas (and Caiaphas) means. Cephas is one of the “pillars” that Paul writes about in his letter to the Galatians. Now why would Mark translate Cephas’ Aramaic name literally into Greek? Well, Mark is writing in Greek so there must have been some reason he wanted his readers to know that Cephas meant “rock”. “The farmer sows the word. Some people are like seed along the path, where the word is sown. As soon as they hear it, Satan comes and takes away the word that was sown in them. Others, like seed sown on rocky [πετρωδες] places, hear the word and at once receive it with joy. But since they have no root, they last only a short time. When trouble or persecution comes because of the word, they quickly fall away. Peter, the Rock, receives the Word with joy. But once trouble comes around, he flees (Mark 14:66-72). Mark is pretty hostile to the disciples, calling them dull and such. This fits with Mark’s overall theme of disciple-dissing. I don’t think that this parable is a coincidence. I think that Mark translated Cephas’ name into Greek so that Greek readers of his Greek narrative would get the parable of Peter’s fickleness. Of course, Matthew turned this literalization of Cephas’ name into a positive: “I say you are Peter. And on this rock I will build my church” (Matt 16:18). Because of this, God in his wisdom said, ‘I will send them prophets and apostles, some of whom they will kill and others they will persecute. And in the church God has appointed first of all apostles, second prophets, third teachers, then workers of miracles, also those having gifts of healing, those able to help others, those with gifts of administration, and those speaking in different kinds of tongues. Are all apostles? Are all prophets? Are all teachers? Do all work miracles? which was not made known to men in other generations as it has now been revealed by the Spirit to God’s holy apostles and prophets. I want you to recall the words spoken in the past by the holy prophets and the command given by our Lord and Savior through your apostles. Rejoice over her, O heaven! Rejoice, saints and apostles and prophets! God has judged her for the way she treated you. I was thinking that because Luke is the only gospel to use “apostles and prophets” that it had some connection with Paul. However, Paul is unique in that he always lists “apostles” before “prophets” so this might mean that Luke is ony emulating Pauline language. This also might mean that Ephesians is an authentic Pauline epistle since it uses the same type of language in the same order. However on the other hand, it uses ευαγγελιστας (good news-ists) which is a word that the authentic seven never uses. I’ll have to do a bit further reading in other Christian and 2nd temple Judaism literature to see if there’s a larger pattern.